Congratulations to the BlackBelt Class of 2012. A big thank you to GrandMaster Lee who presided over the testing panel during a very large test of 15 students. 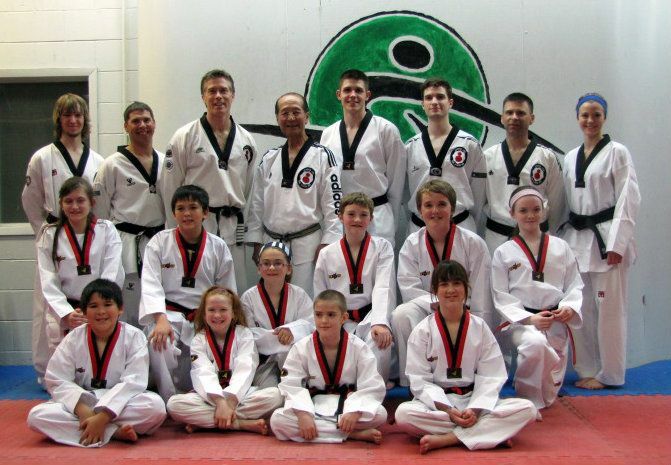 Back Row – Jonathan Barriault, Master Duane Arsenault, Master Michael Ives, Grand Master Chong Soo Lee, Jeff Vanduinkerken, Tyler MacNeill, Master Rodney Beaton, Catherine Barriault. Missing Eric Jung.